Achondroplasia is an inherited autosomal dominant condition that causes diminished growth in the long bones of the legs, leading to dwarfism. Several years ago, the gene for achondroplasia was identified and cloned. If two people with achondroplasia marry, and each of them is heterozygous for achondroplasia (has one of two possible copies of the gene), chances are that two of every four children that they have will also be heterozygous and dwarfs. On average, one child in every four born to the couple will not inherit the achondroplasia gene and will be of average height, and one child in four will be homozygous for the gene. Homozygosity for this gene is lethal, and these children usually die in infancy. A researcher who helped identify the gene understandably felt that he had made a significant contribution by allowing short-statured parents the option of aborting fetuses with the lethal double dose of the gene. To his surprise, shortly after news of the discovery was published, he received a call from one member of an achondroplasia couple, asking whether it was possible to test for both the presence and the absence of the gene. The couple wanted this information, they said, because they planned to abort not just all fetuses homozygous for the achondroplasia gene, but any completely unaffected ones as well. They were intent on having only short-statured children like themselves. 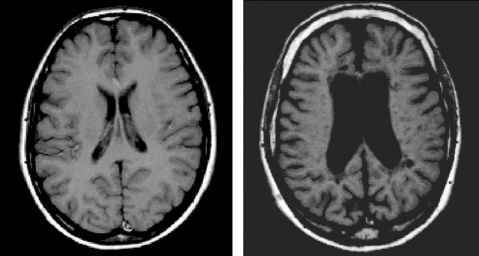 This case poses at least two major conflicts for genetic professionals. First, there is the conflict between respect for parental autonomy, which would ordinarily encourage acceding to the parents' request for assistance and information, and the medical professional's desire not to visit harm on a child. Children born with achondroplasia frequently must undergo a series of surgical procedures to correct serious bone problems. Throughout life, they also face many social and physical obstacles because of their short stature. Is it right for parents to deliberately bring a child into existence with this condition? Is it appropriate for health professionals to assist such efforts? How do we balance respect for parental autonomy against nonmaleficence? 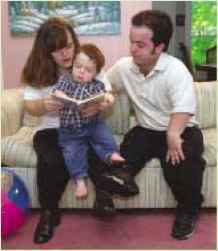 Matters become more complex when we realize that some people with achondroplasia reject the idea that any harm is being done by the parents in this case. They maintain that most of the problems that they face are socially constructed and are due to society's marginalization and neglect of those who are different. Some also reject medical or genetic "solutions" to their problems. The proper response, they believe, is not to prevent the birth of a child with a genetic condition but to eliminate the social handicaps and discriminatory attitudes. Thus, the parents in this case may be driven not merely by their personal wishes but by a commitment to social justice.